Never count yourself out. You are strong and capable. You have family and friends you can count on – let them help you. Continually surrender it all to the Lord and He will guide you. Always believe the best is yet to come. How to define goals and implement deliberate practice in order to grow professionally – based on the ideas in chapter 7 of Grit by Angela Duckworth. “The easiest form of reflection, in my opinion, is to keep a journal. Just the act of writing can summon ideas that may not otherwise have surfaced just noodling around in your head. It allows you to dump everything out on paper (or a screen) and then sort it out and make sense of it. 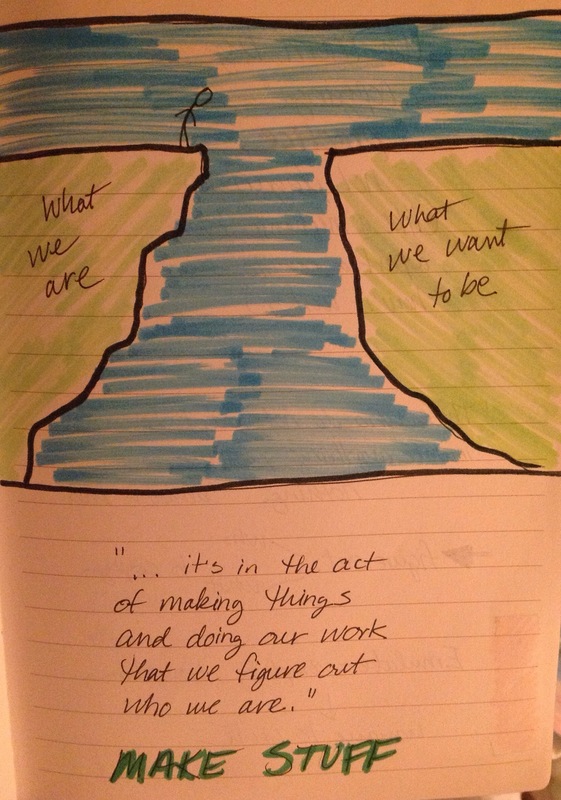 Reflections on the first week of my first intensive coaching cycle. Monday, Sept. 25th, marked the first day of my implementation of an intensive, educator-centered coaching cycle and 8 of the 9 teachers chosen for this four-week cycle are engaging in the process. The process is fully described in the book, Instructional Coaching in Action. During the cycle, my coaching roles and responsibilities will continue with all teachers in the building, but the educator-centered model provides a structure for focused coaching in which teachers can experience leading the coaching partnership. Teachers have the final say on the purpose and activities of the four-week cycle and coaches ensure that teachers have what they need to meet their PGP goals for the year. During the initial meeting, we developed background knowledge about the model, outlined a plan of action to support the teacher’s professional growth plan (PGP) and scheduled observations and debriefing meetings for post-observation reflections. Each meeting went well, as measured by teachers who were prepared with their PGP goals and my facilitation of the meetings; we accomplished meeting goals and kept within the timeframe (30 min.- with the exception of a couple of meetings). During this first week, I was also able to get in an observation followed by a reflective conversation with the teacher so that this teacher will be ready to implement a new classroom management plan after fall break. In between meetings and other duties, I was able to combine block scheduling ideas and learning strategies into a guidance document (it’s in draft form as others review and provide feedback on it). Once it has been reviewed, I will share the document with all staff. Hopefully, it will support the implementation of classes within a block schedule as well as supplying ideas for differentiating instruction. Now, I’ve given a brief overview of intensive, educator-center coaching and some of my experiences during the first week, but what did I learn? Listen with your eyes as well as your ears. Not everything you need to know will be said with words; be very observant. Keep moving forward. You will make mistakes; keep believing in the process and learn from it. Be vulnerable. You are not an expert; you are learning along with your colleagues. Admit your weaknesses. Cultivate an environment in which it’s ok to admit your weaknesses; we can’t improve until we are totally honest with ourselves. Have some fun! Live a balanced life every day. Laugh at yourself; in a hundred years from now, no one will remember the little details that are bringing you down. I am taking a moment to give thanks for all the great people I work with and who are helping me become a better instructional coach. On the days that are a little more challenging, I can look at this and remember to give thanks in all things and that the dark times are only temporary. I can count on the dark to give way to the light and sooner than later if I will focus on the positives and be grateful for the blessings. Even the struggle has a purpose and will make me stronger and wiser if I choose my attitude.